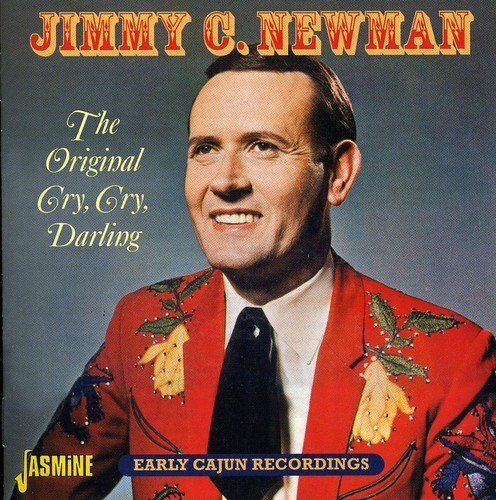 The Original Cry, Cry, Darling - Early Cajun Recordings [ORIGINAL RECORDINGS REMASTERED] by Newman, Jimmy C. at Silent Rider Music. MPN: CDJAS488. Hurry! Limited time offer. Offer valid only while supplies last. For the first rime, Jasmine preserve the beginnings of Jimmy Newman's long trip through Cajun, Hillbilly and Country music and back home again. For the first rime, Jasmine preserve the beginnings of Jimmy Newman's long trip through Cajun, Hillbilly and Country music and back home again. Savour his delightfully Louisiana tinged Honky Tonk music and hear the original versions of songs that became better known later but arguably lost some of their laid back charm in the process. Featuring the hits "Cry, Cry, Darling", "Words Can't Explain" and "Again In Your Arms" plus many rarities that are available on CD for the first time including "I'll Have To Burn The Letters" which shows Newman's exceptional vocal range to maximum advantage. If you have any questions about this product by Newman, Jimmy C., contact us by completing and submitting the form below. If you are looking for a specif part number, please include it with your message.